The Redcar and Saltburn-by-the-Sea Gazette 07/05/1887. The body of the church was filled, the chief mourners being Mr Chas. Newcomen, Sir C. Clement Smith (Governor of Ceylon) and Lady Clementi, Miss Newcomen, and Mr C. Trotter, and there were also present the Right Hon. James Lowther. Mr. J. T. Wharton (Skelton), Mr Waynman Dixon, Dr. Ellerton, Captain Swan, Mr Rutherford, the Sisters from the Cottage Hospital, the inmates of the almshouses, Kirkleatham, and the children from the schools. 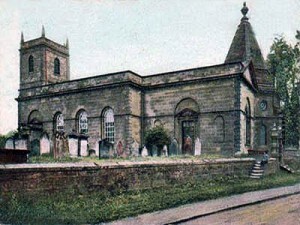 The coffin was borne into the church by the tenants on the Kirkleatham estate. As the body left the church the choir sang another hymn, and the funeral service at the vault was concluded by the Re. E. O. Herbert, the choirs singing certain parts of it. A number of beautiful wreaths were laid on the coffin, one very large one being sent by the parishioners of Coatham. PEOPLE – DAVIES B.O. Alderman. J.P. – First Mayor. BUILDING – New Hotel for Redcar and Coatham.